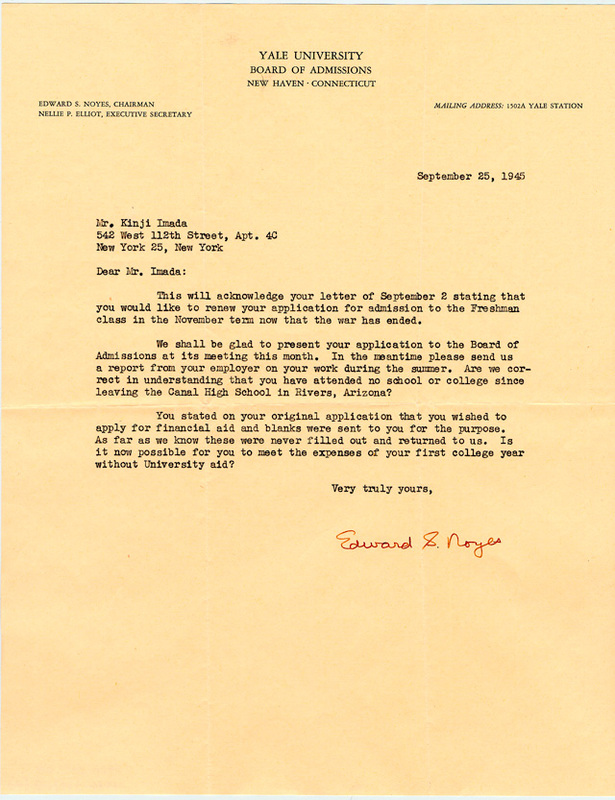 Correspondence tells the story of a young man's pursuit of higher education from behind barbed wire. Saw this fascinating item tweeted out the other day by Slate Vault (though curiously, the tweet is now gone)... 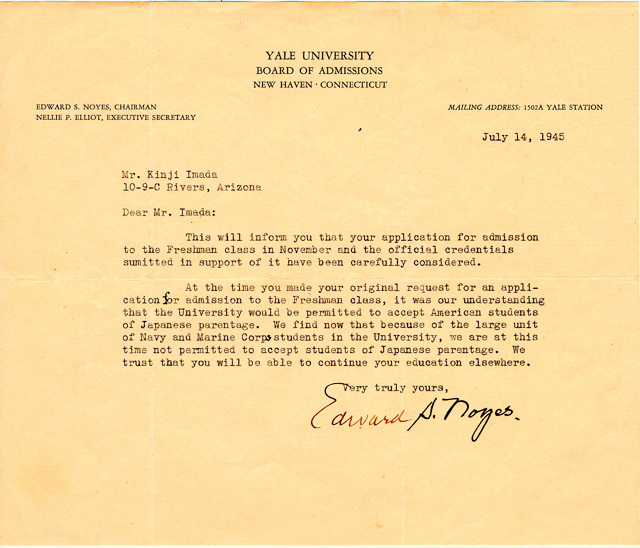 The National Museum of American History's online Japanese American Internment Era Collection includes a series of letters that tell the story of a young Japanese American man who applied to Yale University -- and was rejected -- while he was incarcerated in an internment camp. As a teenager, Kinji Imada was one of thousands of Japanese Americans who were forcibly removed from the West Coast and relocated to an internment camp during World War II. 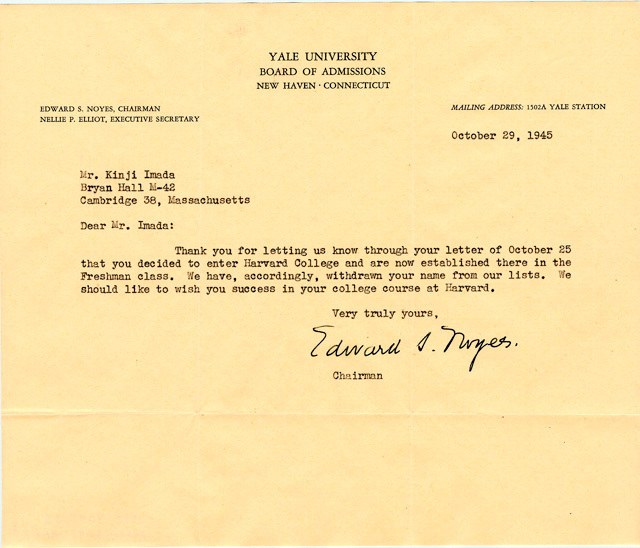 When he graduated from high school at the Gila River War Relocation Center, he applied to colleges, including Yale. 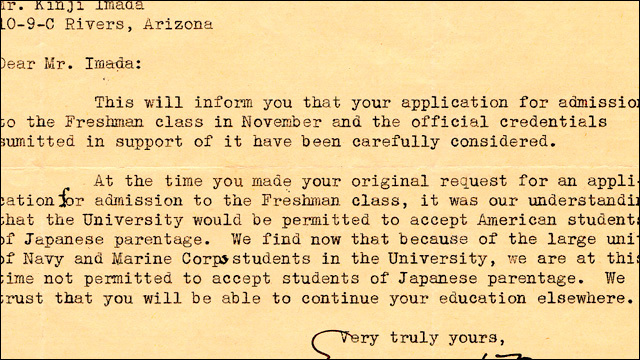 According to the museum's website, Kinji spent a year at Harvard before enlisting in the U.S. Army. After military service, he returned to Harvard to study architecture, and went on to enjoy a lengthy career as an architect in the San Francisco Bay Area. 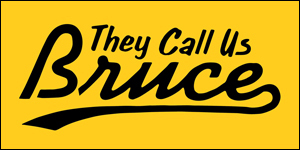 He passed away in 2005 at the age of 77. 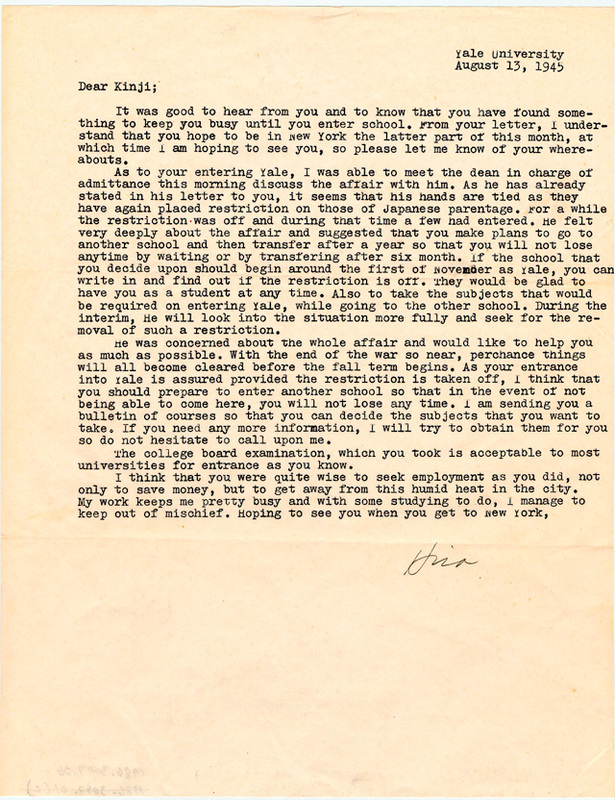 To see more artifacts, go to the Japanese American Internment Era Collection.